There are many aspects of successful pitching. “Changing a batter’s eye level,” according to Coach McCreary, once in a while is one of them. Weighted balls are just one of the tools used in our throwing programs to help our athletes achieve a higher velocity ceiling, says Nunzio Signore. In this video, Dan Blewett explains six major factors and all the sub-factors that go into why some pitchers throw with higher velocity than others. Karl Kuhn of the University of Virginia talks about how he approaches mound visits in a new video. Nate Tamargo shares his thoughts on how to best train explosive baseball movements. Why are sliders so hard to hit? Wes Jenkins explains why and how you can close in on this kind of pitch. On his latest podcast episode, Kevin Vance discusses what life is like as a Division 1 baseball player. Times are changing. Dr. Glenn S. Fleisig discusses how new wearable technology can help with pitching injuries. In a new video, Toronto Blue Jays’ Tim Leiper discusses giving signs. In this video, Rick Strickland discusses how his team uses the data from Rapsodo Hitting in pursuit of player development. 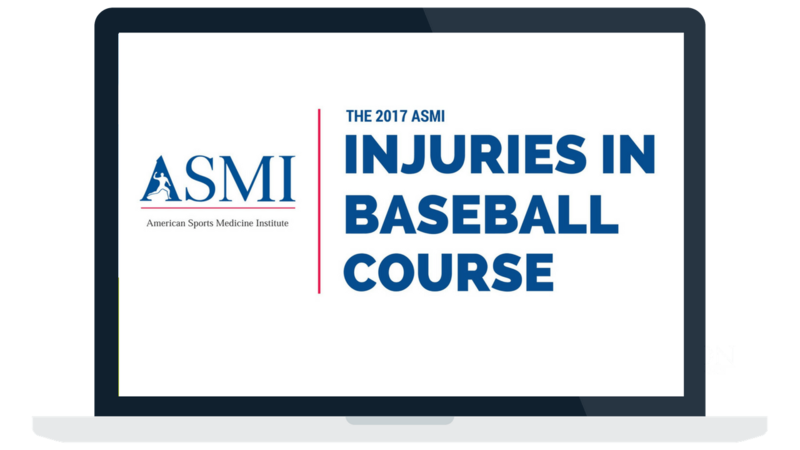 One topic Jarad Vollkommer wants to bring up is hamstring health in baseball. How can we keep our hamstrings healthy? William Harris dives into the great mystery of which hits farther: wood or aluminum bats? Quite a bit has been written about batted ball data the past few seasons since the information has become publicly available. Jeff Zimmerman explains how spin rate plays a role. John Madden shows you how to make a DIY pitching mound at home. Your core is the central hub from which all movement stems. The Texas Rangers strength and conditioning team explains why it’s important to maintain it. Stephen Osterer wants to help you keep your joints healthy and undamaged. The latest podcast with Dan Blewett discusses the mental side of Tommy John surgery rehab. Stop messing up your hitters! Bobby Tewksbary explains how to teach them properly. Doug Bernier has a few simple changes to make to your game to hit the ball better. Ever wonder what’s going on in the bat you’re holding? Stephanie Springer discusses the process involved in manufacturing a bat. Yes, pitchers need to sprint. Zach Dechant explains how that will help their game. You won’t believe him, but David Kagan says that the batter’s grip doesn’t matter. Jarad Vollkommer wants you to throw the ball harder. Here’s how.